OB and Lunch for Jamie! - Building Families, Inc.
OB and Lunch for Jamie! 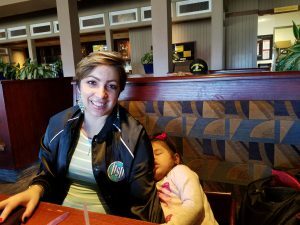 Jamie had a great OB appointment with Villarosa Daniel MD and after went for a yummy lunch at Red Lobster! Jamie’s little girl was tired out after such an exciting day! ← Spa Day for Randi and Christine! !